Ergonomic, dual-injection molded Equestria Sport LUCKYSTAR hoof pick with hanging hole, hanging loop and UPC hang tag. Features durable curved metal pick for effectively removing dirt and stones from hooves. 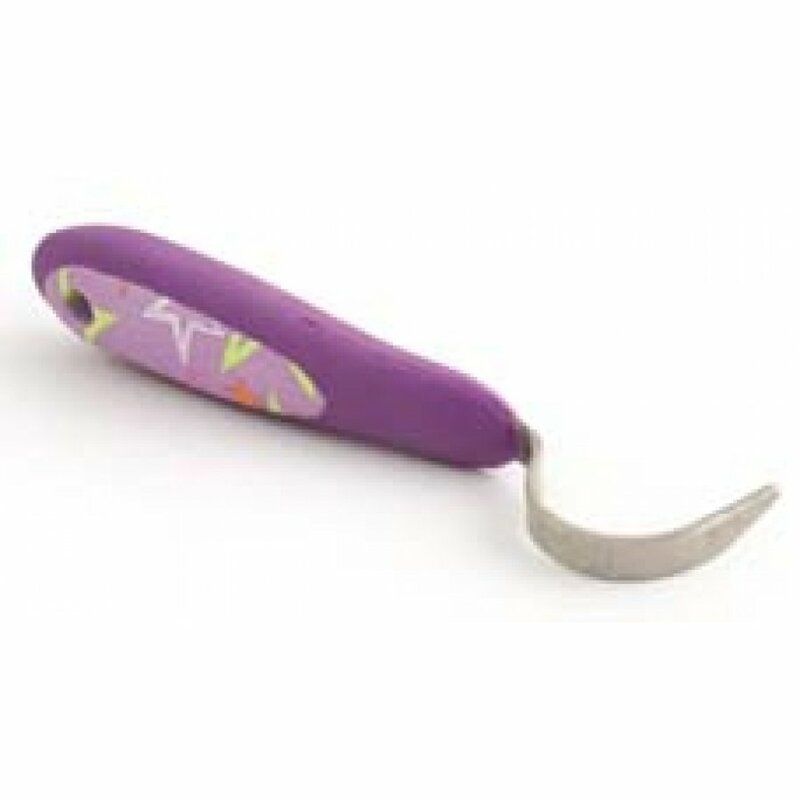 Luckystar Hoof Pick has different options and/or variations, please choose below. Ergonomic, dual-injection molded Equestria Sport LUCKYSTAR hoof pick with hanging hole, hanging loop and UPC hang tag. Features durable curved metal pick for effectively removing dirt and stones from hooves. Colors coordinate with Equestria™ Sport LUCKYSTAR™ grooming brushes and bags!